One of my all-time favorite math books is Well Played. 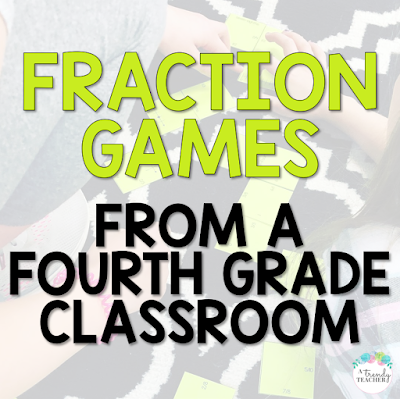 These games are easy to create, easy to learn, and keep students engaged for hours! If you're going to add to your professional library, these are a MUST-HAVE. My favorite thing about these books are that they cut to the chase. You get straight to the math games with just a little bit of background. 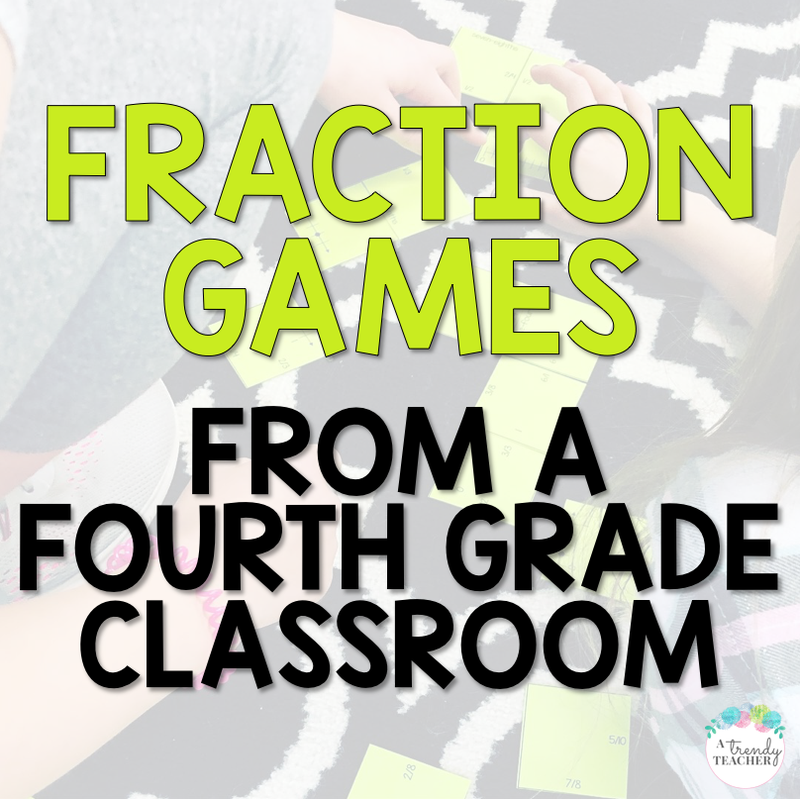 By clicking this link you'll have access to a view-only Google folder where you can download the fraction games I use in my 4th grade classroom. *In order to bring you free resources, this post does contain affiliate links. If you make a purchase from the links on this page I may earn a small commission at no extra cost to you. Thank you for supporting my blog. 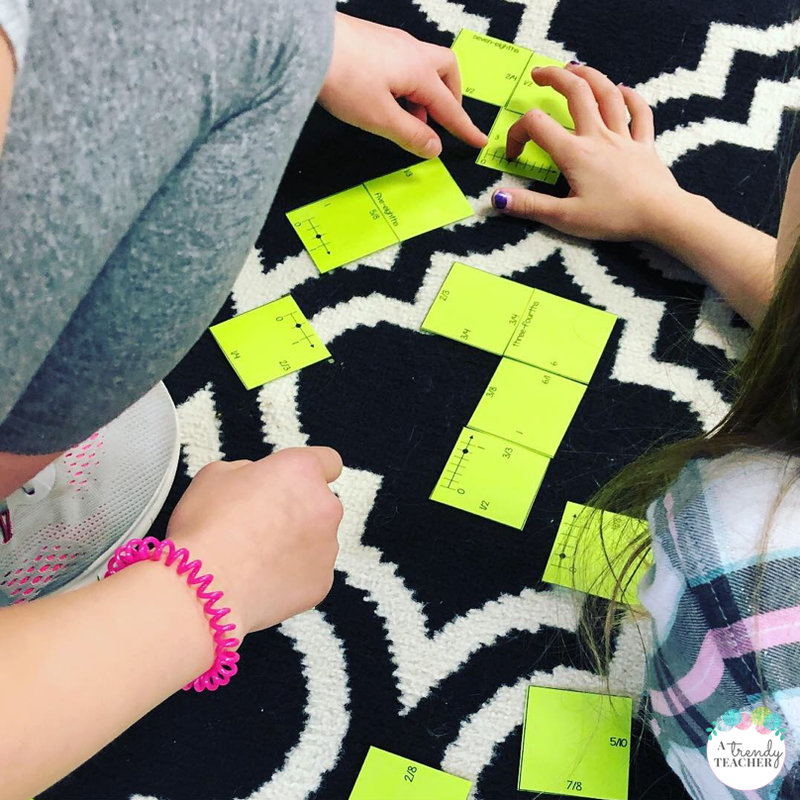 Teaching Main Idea can be tricky. I mean, after all, how many different ways can you demonstrate the same skill? 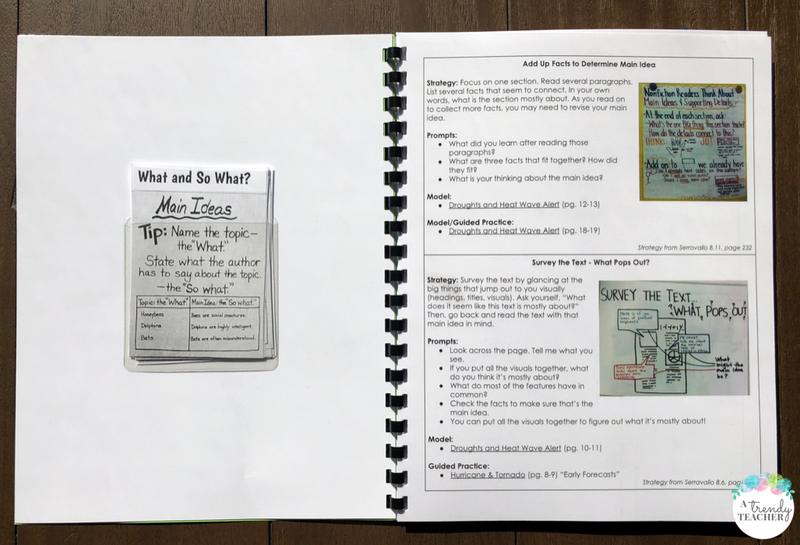 My team and I use the Lucy Calkins reading and writing units of study. 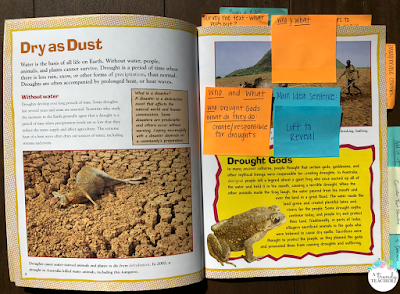 We are currently teaching Reading the Weather, Reading the World - our first nonfiction reading unit of the year. 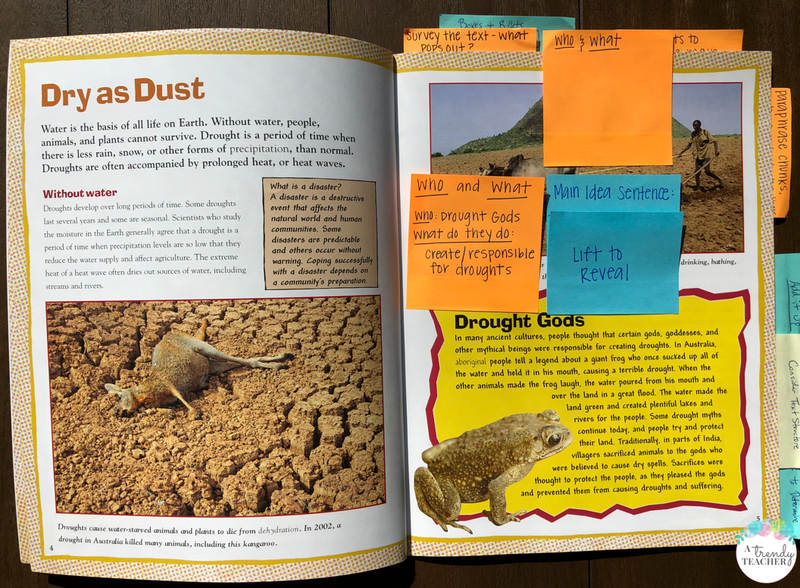 In this unit we really focus on the understanding of identifying the Main Idea and key details after reading a portion of text. 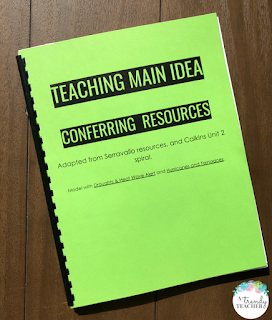 My team and I have a created a "Conferring Quick Guide" to use while we meet with students one-on-one or in small group. 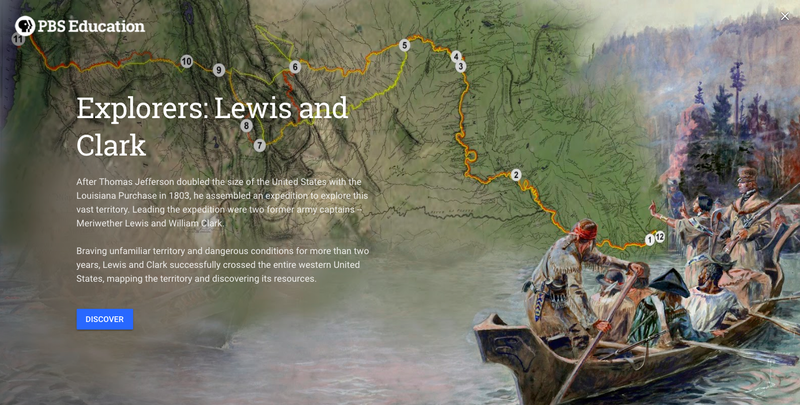 Over the years we've pulled strategies from a variety of resources. This year, we've worked to compile them in one quick place to use while we're working with students. 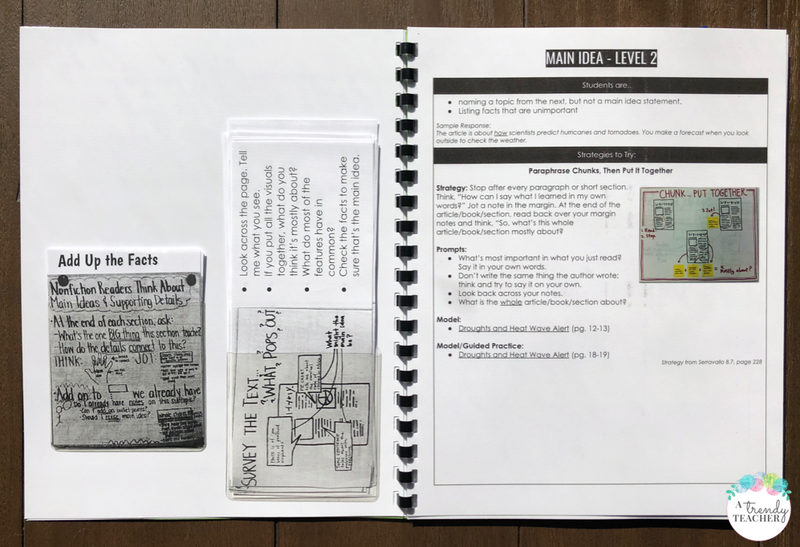 When you reach the FREE DOWNLOAD at the end of the post, you'll notice that the "Conferring Quick Guide" is organized into an approaching, a level 2 and a level 3 format. We used the Lucy Calkins progression for to assess what our students ARE doing. 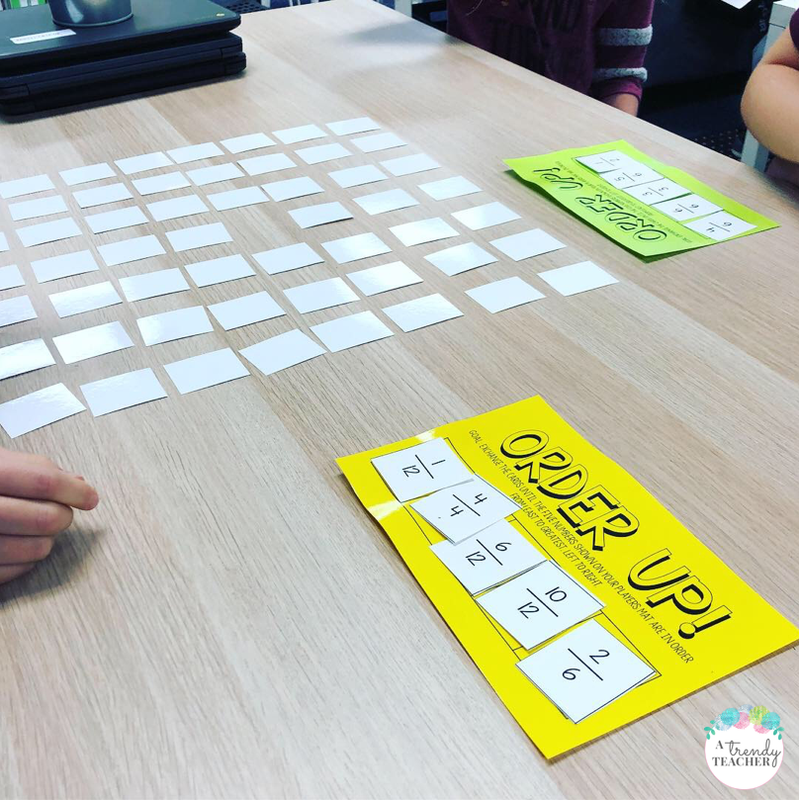 We then use those strategies to move them to the next level. 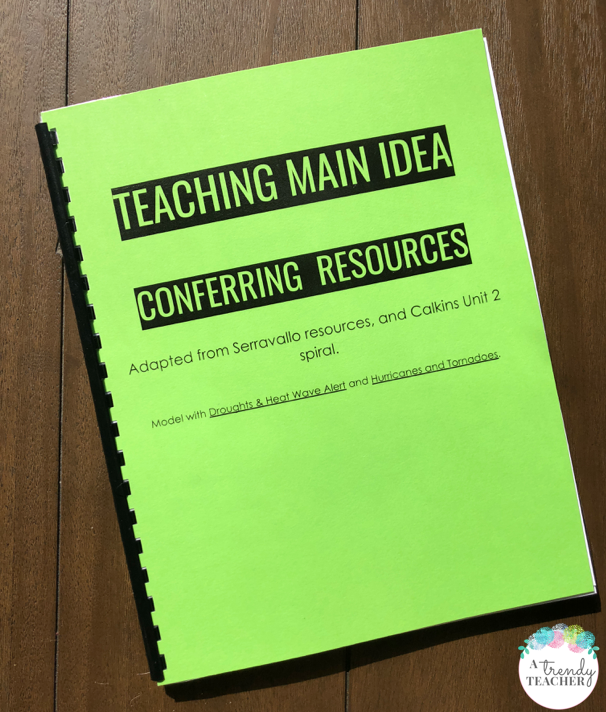 The strategies in our "Conferring Quick Guide come from Jennifer Serravallo, our IRA Book and the spiral from our unit of study. One of my all time favorite books is Jennifer Serravallo's Reading Strategies Book. 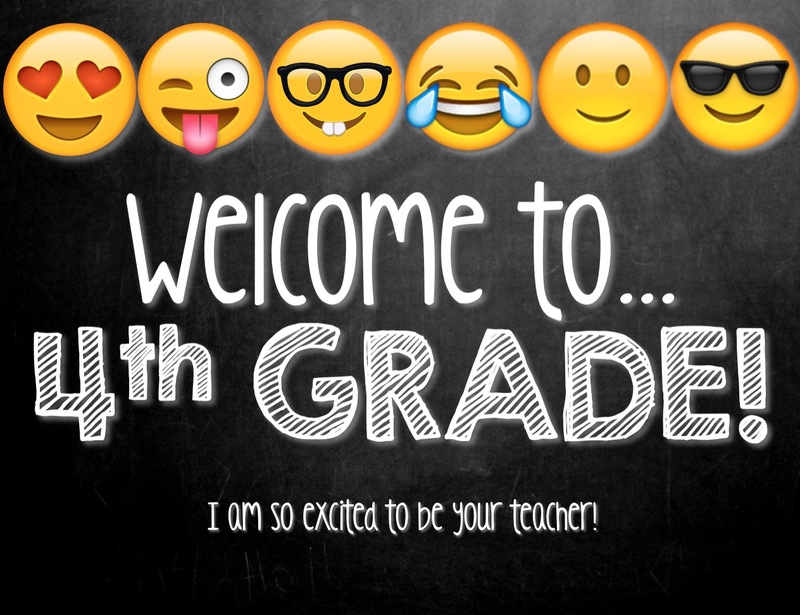 I firmly believe this should be a staple in ALL classrooms. Check it out if you don't have a copy yet. Another thing that works for us is that we create small handouts of the anchor charts or strategy steps. This is what we leave with students after our time with them. Students then have the chart as a reminder and a tool to apply the strategy independently. I used clear pockets on the backs of my pages to hold anchor charts. It's a great way to store these small slips of paper without taking up too much room. Finally, the last thing I bring with me while conferring are my demonstration books. We have selected two books that support our class read aloud for the unit. Throughout these books I've marked up places where specific strategies can be modeled and then tried in a guided practice format. Having these books marked up ahead of time helps to keep my conferring time short and sweet! 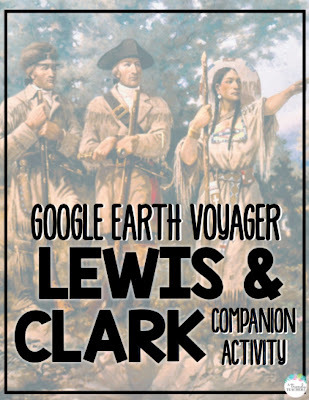 It also provides real application of the skill, rather than work on a worksheet. I notice that when my students are able to practice their strategy in a book, they're more likely to transfer the work to their own books as well. 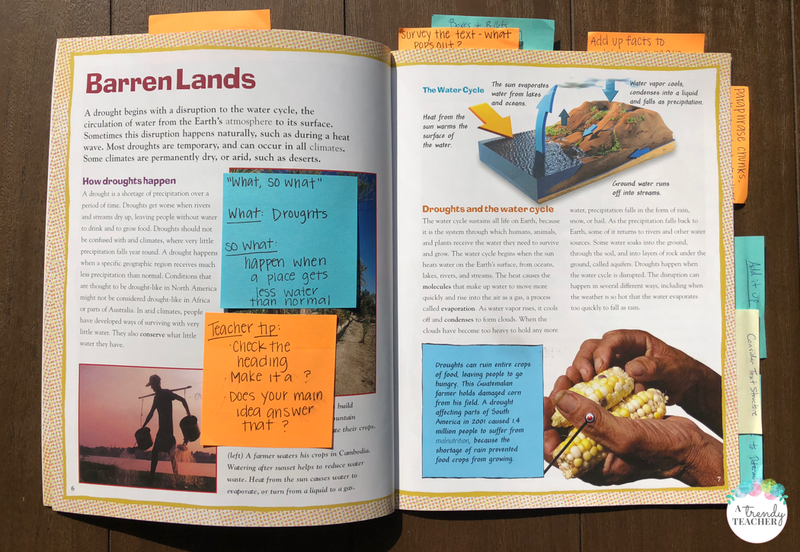 The books we used in our "Conferring Quick Guide" are Hurricane and Tornado and Drought and Heat Wave Alert. In the download you'll notice that there are pages and sections marked in each book to use for modeling and guided practice. Finally, here's the part you've all been waiting for! The FREE DOWNLOADS! Click here to access the CONFERRING QUICK GUIDE. Click here to access the STRATEGY CARDS. *You will have "View Only" rights to these documents. To edit them, click file "Make a Copy" and then you'll have a personal copy to edit/change/share/etc." 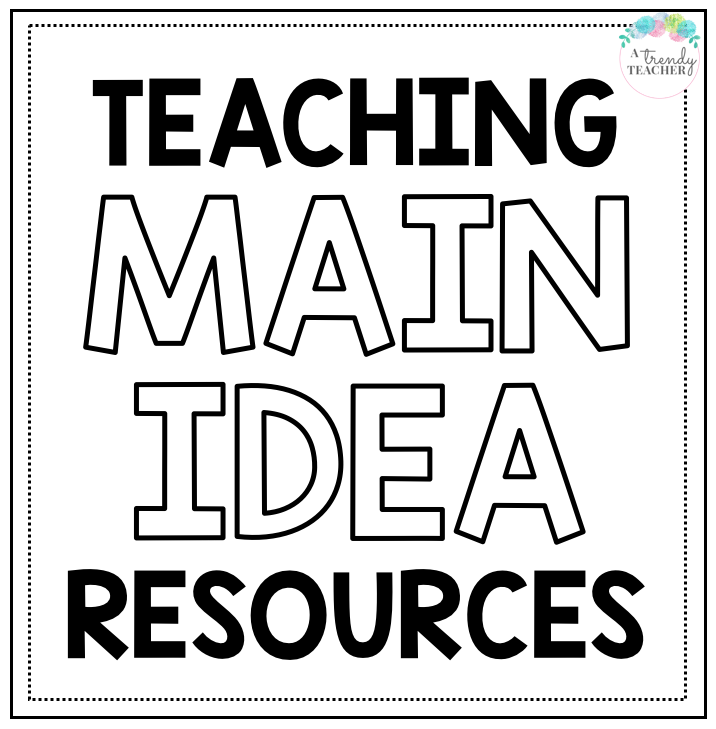 Thanks for taking the time to check out our Main Idea resources! 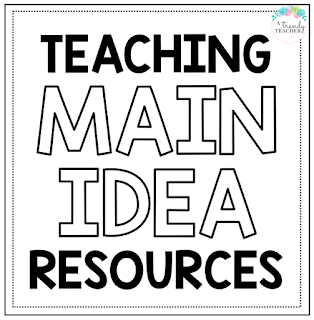 I'd love to hear your best strategy for teaching Main Idea in the comments below! 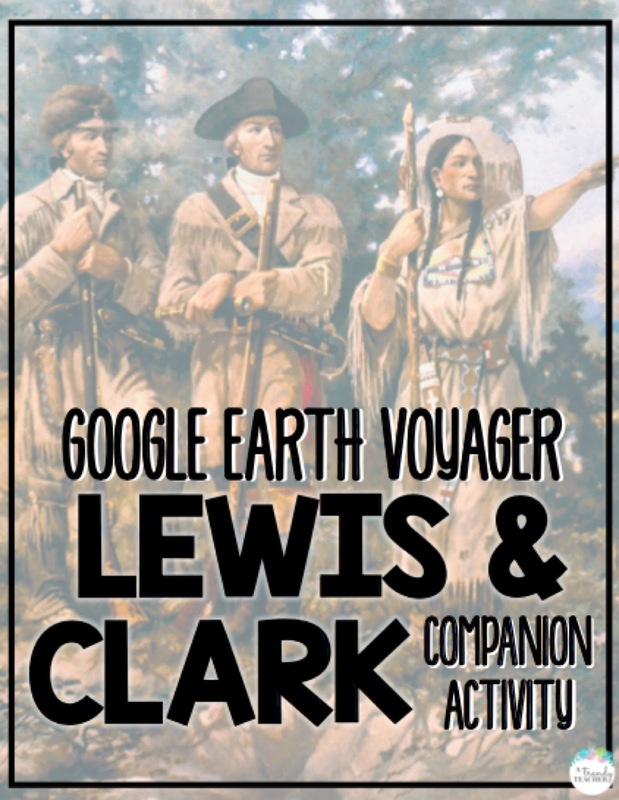 My End of the Year Activities! You're done with state testing, you've got 5 days of school left and you're looking for something to keep your kids engaged and.......calm. Hey! We've all been there. 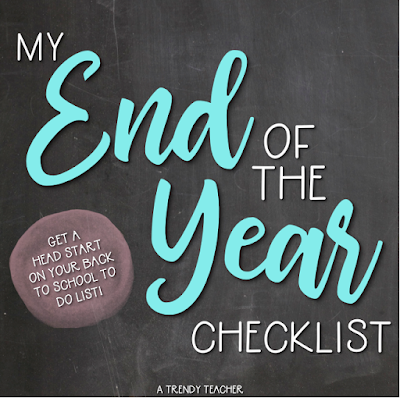 Here are some of my favorite end of the year activities! 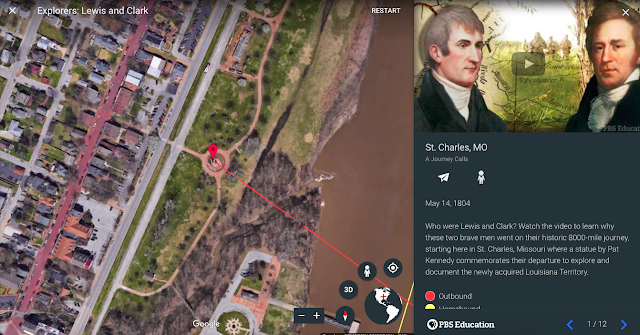 **All of the links below will take you to "View Only" versions of a Google Doc, Slide or Form. Click "Make a Copy" and you'll be able to edit to fit your needs. End of the Year Trivia! This was a HUGE hit in my 4th grade classroom. And the best part was...they were SO quiet while they played. I did not read the questions and I didn't leave the questions up for longer than about 30 seconds. 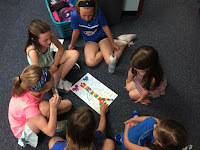 My kiddos quickly learned to stay quiet and work together. In this download I kept the generic rounds that would work for any group of kiddos. Feel free to use the template to add your own rounds. We ended up with around 30 rounds of trivia when it was all said and done. Click here to see the Trivia Game. Click here to see the Score Card. 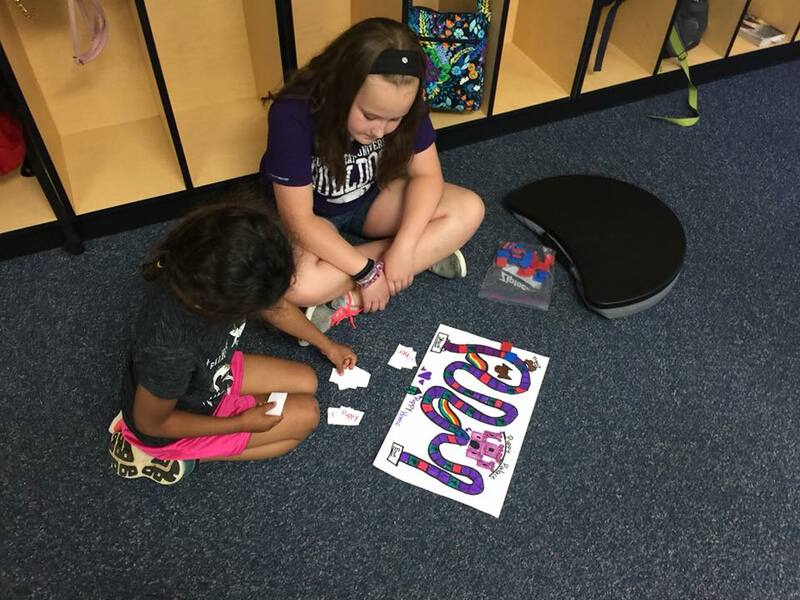 At our school we are paired up with a buddy class. 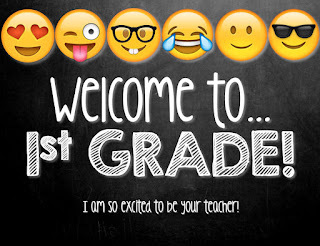 My 4th graders are paired with a 1st grade class. 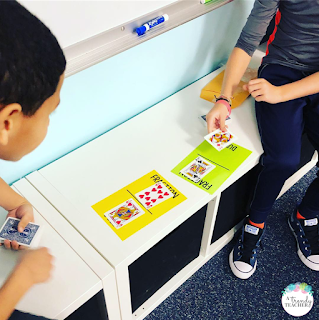 For our last get together of the year we played board games that my kids designed to help the 1st graders with their Accountable Words (also known as Sight Words). 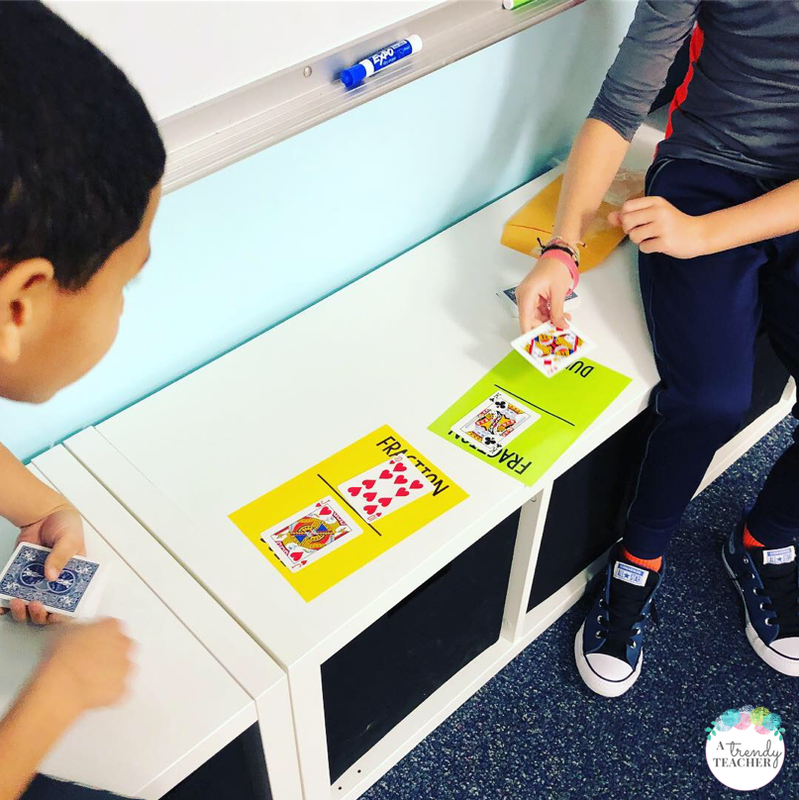 My students loved the opportunity to be creative and it was super motivating knowing that real students would actually be playing these games. 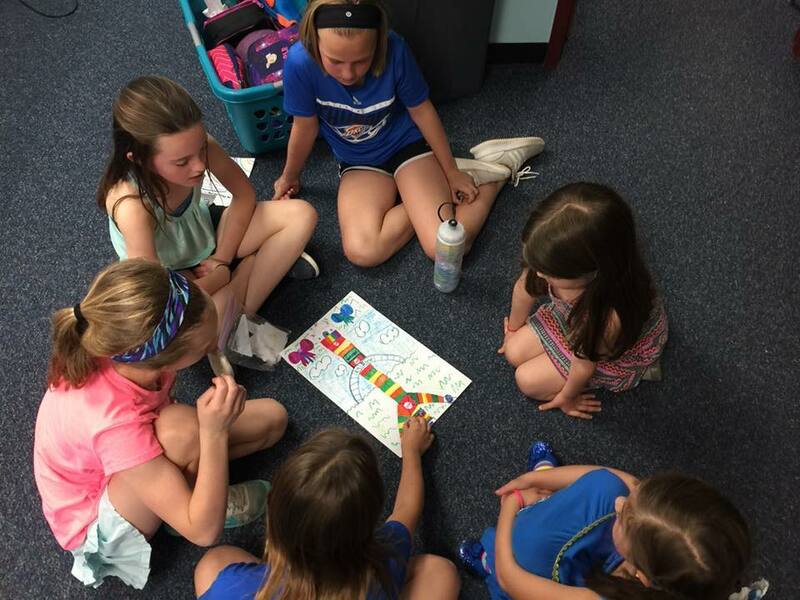 Click here to see "Create a Game Board" instructions. Click her to see the Letter Writing activities. These are just a few of my favorite End of the Year go to activities. 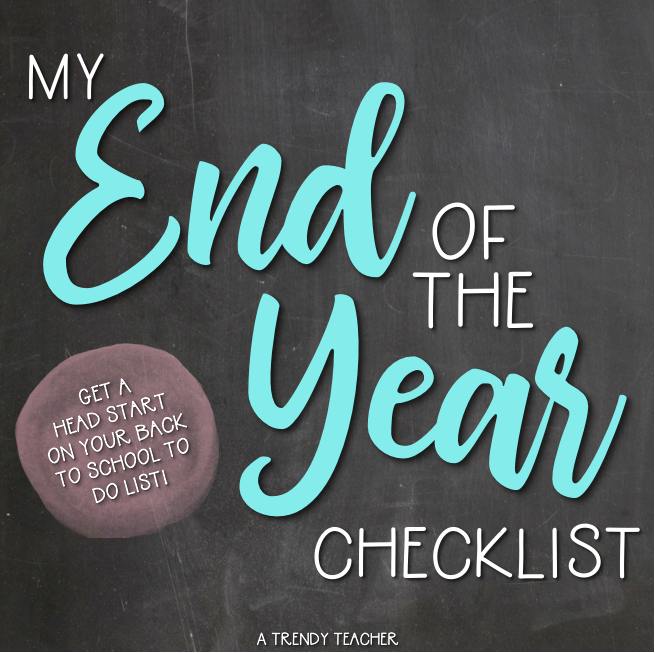 What End of the Year traditions do you have in your classroom? The end of the year is always an exciting time! For me it means wrapping up the current school year while bouncing around new ideas for what I'd like to do differently next year. 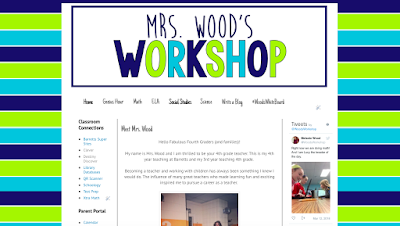 This summer I've got big plans to revamp my Flexible Seating classroom (read more about that here) so I'm going to need all the time I can get! 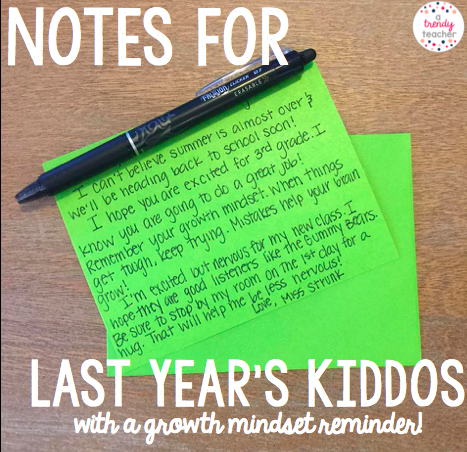 Did you know there are little things you can do right now, at the end of the year, to save you time at the beginning of the next school year?! Think about all the forms you'll need to start the year and RESTOCK! 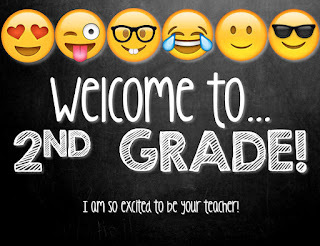 That means making sure I have plenty of F&P and IRA reading forms in my classroom. 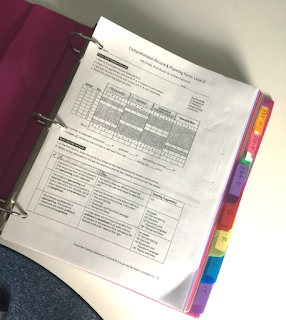 Since I just wrapped up my end of the year testing, I make sure to refill my binder so I'm ready to go in August. 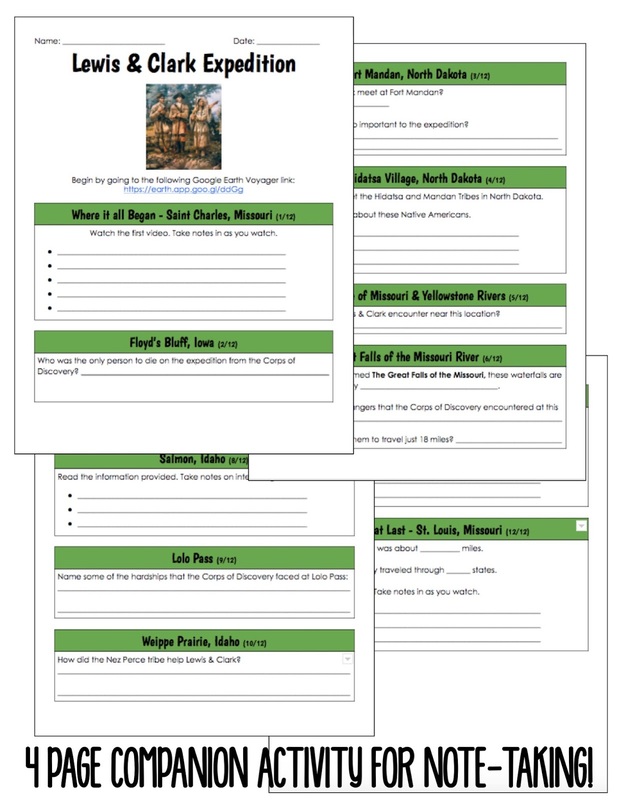 PRINT and PREP back to school handouts! 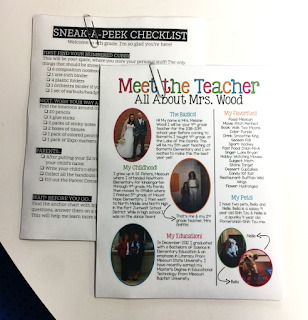 We host "Sneak a Peek" night and I know what handouts I will use, the same ones I used last year! 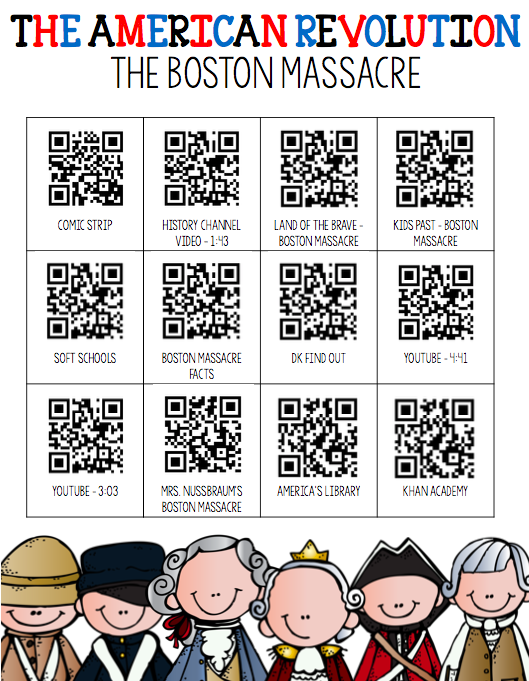 Take 2-3 minutes now to print them and stash them away. 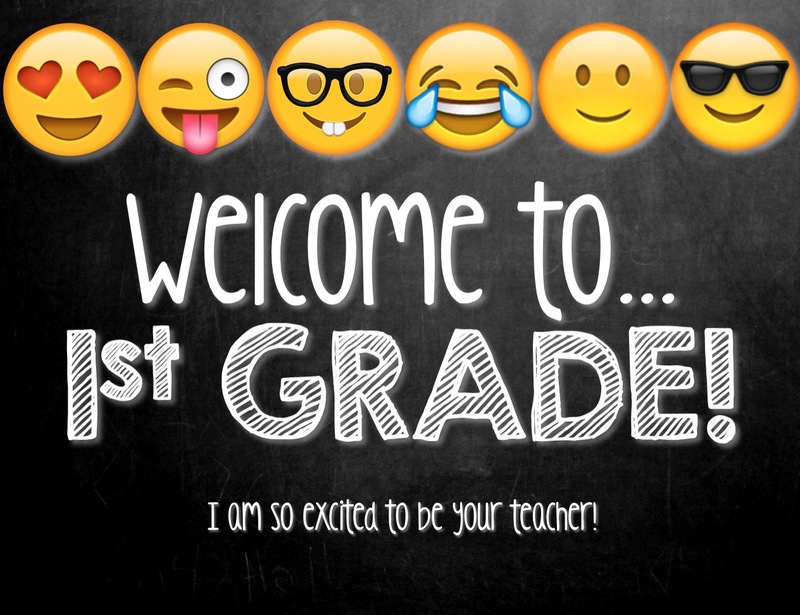 It's one less thing to worry about when you're running around like a madman making sure your room looks perfect for your new bunch of kiddos! 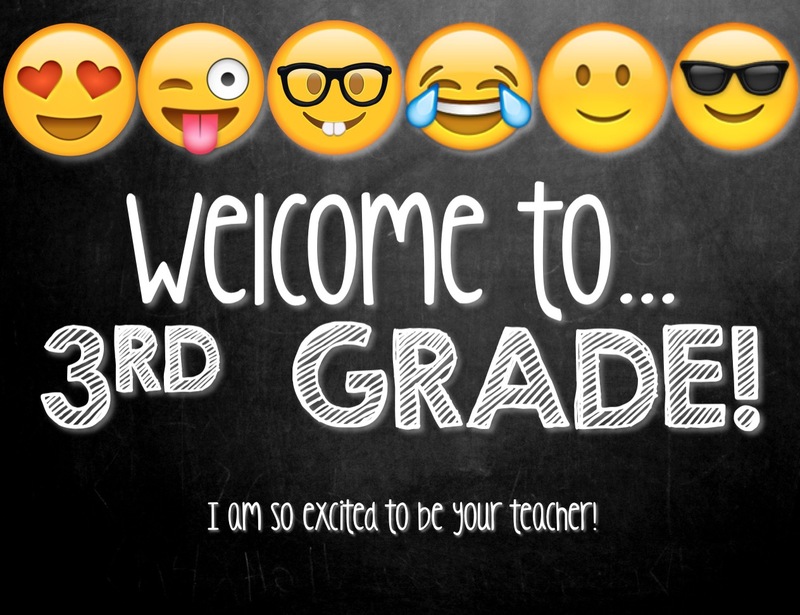 You can grab my "Meet the Teacher" template here. Write your student notes now! 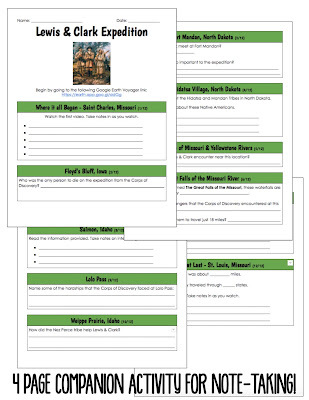 I don't know about you, but I always find a way to strategically plan a movie to land during the last week of school ;) I use this time to write my student notes that will get mailed out in August. 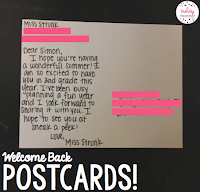 Each year I send out 2 sets of student notes - 1 set to my current class, wishing them good luck in their new class and another set to my new kiddos, welcoming them to 4th! 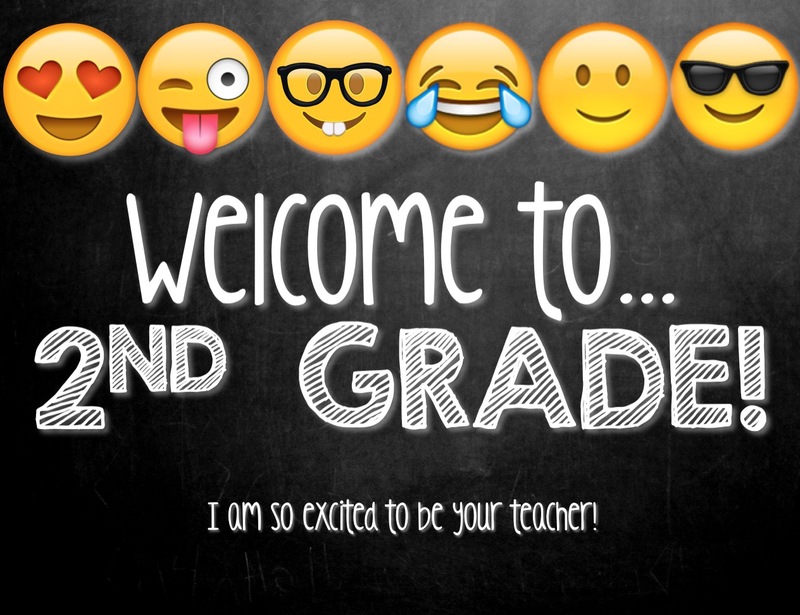 I won't know the names of my new students until late July/early August, but my message is done and I'll have to do is fill in their names! 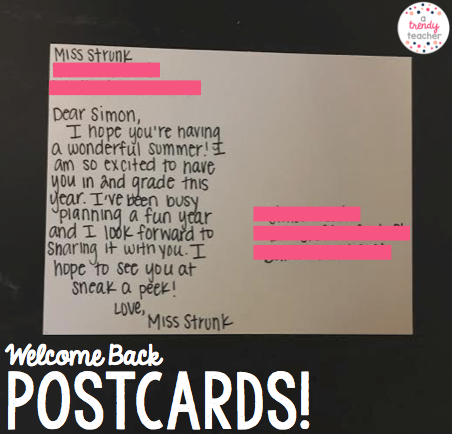 Read more about my back to school notes here! 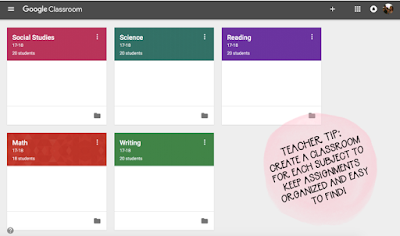 Google Classrooms - As we get to the last week of school, I clear out my Google Classrooms. 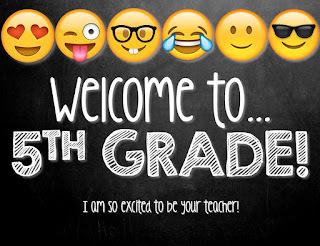 I update the names for the next school year and prep my slides so kids are ready to join as soon as we get back to work in August. Blog/Class Website - I take about 30 minutes to update my class website. 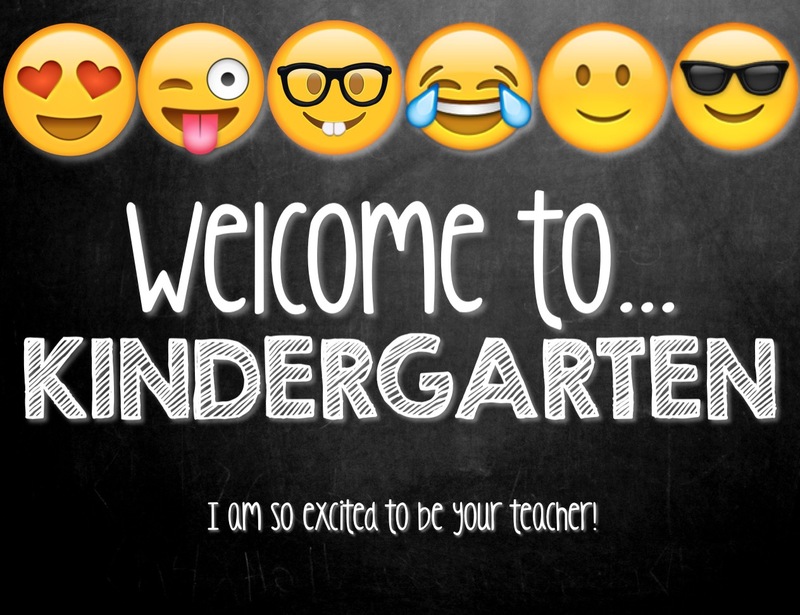 Chances are your parents will take a peek once they find out you're going to be their child's teacher in the fall. The last thing you want is outdated information! Click here to view my classroom website. What do you do at the end of the year to make your transition back to the classroom easier? I'd love to hear from you! Share your best tips and tricks in the comments! This year my school district fully adopted the Lucy Calkins reading and writing units of study. My team and I have spent hours working to align both units so that we can teach them at the same time. Of course, Lucy suggests having 30-55 texts in each classroom for students to use throughout the units. Even with an amazing school library there was NO way we were going to have that may books per classroom (we have 4 sections of 4th grade). I started by finding all of the online resources that I could, I mean these are FREE after all! 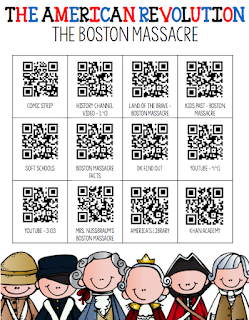 You can grab these QR Code printables from my Teachers Pay Teachers store. 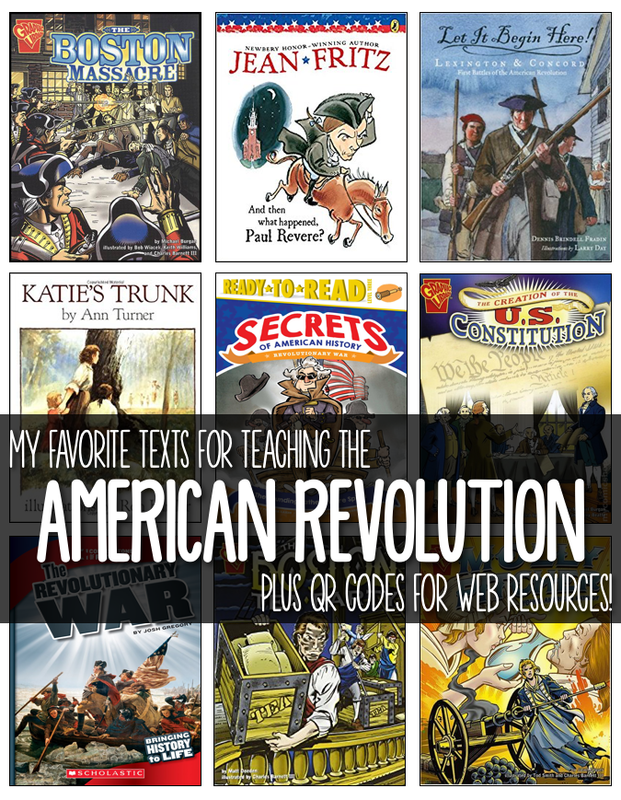 Then I spent some time going through Lucy's suggested book list as well as other recommendations I found online to compile a list of my favorite American Revolution books for you! 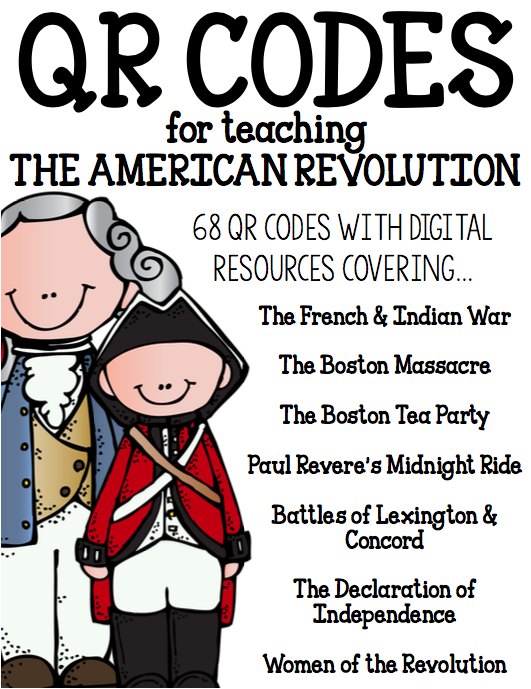 I started by adding ALL of these books to my Amazon classroom wishlist. Then I tuck that little link into each of my weekly newsletters. My team also spent some of our PTO money on a few of the texts and then of course, like all teachers do, I've spent my own money to get some of these texts for my classroom. 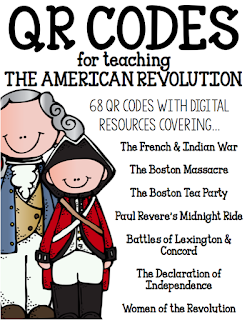 Do you have a favorite resource for teaching the American Revolution that I haven't listed? If so, leave me a comment with the details! I'd love to check it out.